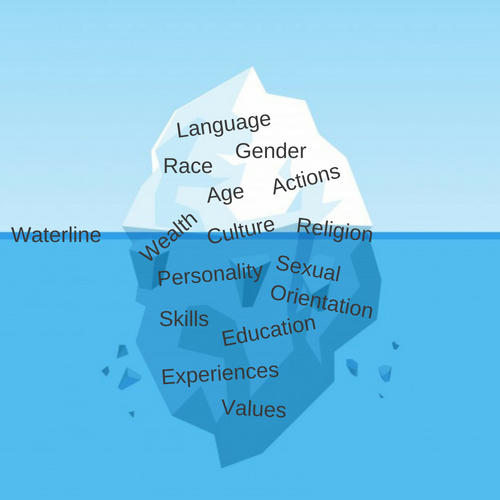 In a fun, interactive session, participants learn the definition of diversity in all its aspects and come to understand diversity's iceberg metaphor, highlighting the importance of safely lowering the “waterline,” which teaches us more about each other than what meets the eye! RSVP to enjoy some refreshments while learning how to play your role in creating happy work environments. This workshop is one out of three in a series! These workshops were designed as a series where each workshop builds on the one previous. Though you will get the most value from attending all three sessions, it is not a requirement. To learn more about this series, click here. Roger Crockett is a specialist in leadership behavior, diversity, and inclusion at inQUEST. For nearly three decades, he has researched and written about the leadership strategies, styles, and initiatives of senior corporate executives and influential business leaders. Roger leverages this experience at inQUEST, where he speaks and writes about leadership strategies, diversity in business, and best practice diversity and inclusion initiatives. He is Vice Chair of the Board of Trustees at Saint Xavier University and an Adjunct Professor at DePaul University’s Driehaus College of Business. The idea for the series of three seminars comes from a recommendation from the Staff Advisory Council Engagement Committee (2017-2018) to improve the availability of training and development opportunities in the areas of diversity and inclusion; participants in this program will provide vital and important insights and feedback as we plan for additional program for Spring 2019.